Compatible with all models, so you can use it with confidence. * iPhones and Android smartphones only. * Can be used with all iPhones and Android smartphones on all carriers (confirmed for models available March 2013). iPhone can be recharged fully 3 times. 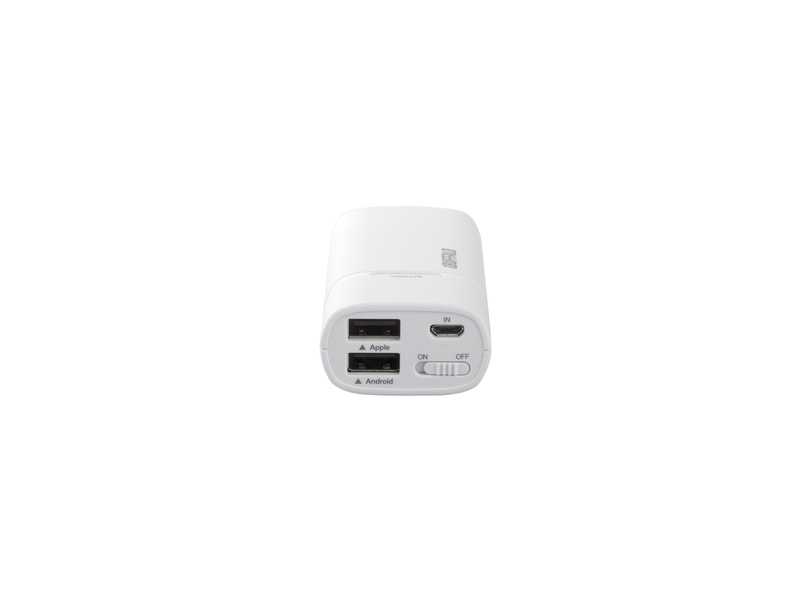 2-amp output enables charging of tablet computers (tablets accepting microUSB power supplies (*) iPad/iPad mini). 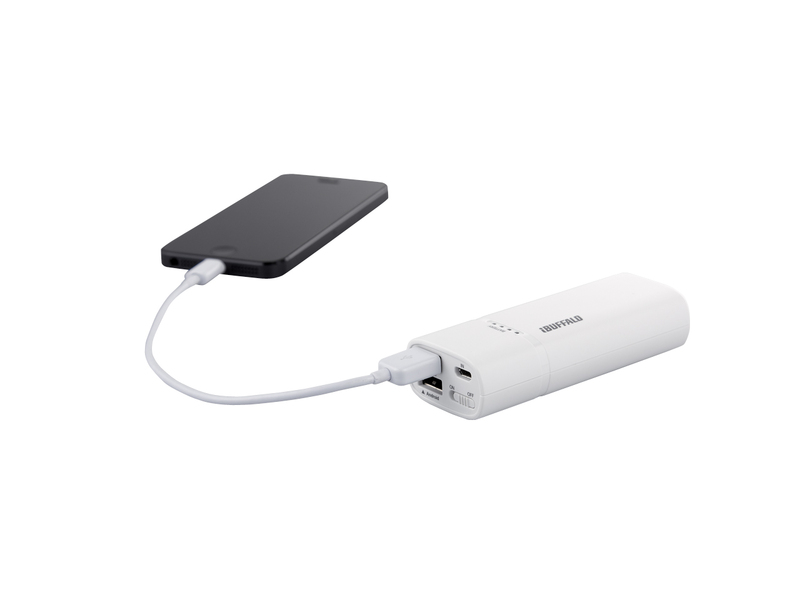 This mobile battery also works with iPod series models, Walkmans, digital cameras, portable game consoles, and other devices compatible with computer USB power supplies. Charging of iPad and iPad mini requires a different cable (sold separately). 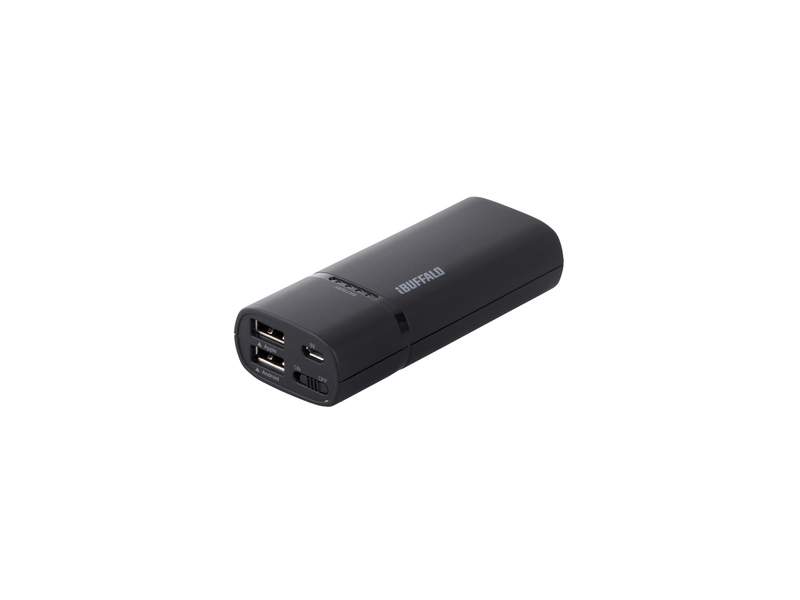 * Supports only devices that can be charged from a computer's USB port. 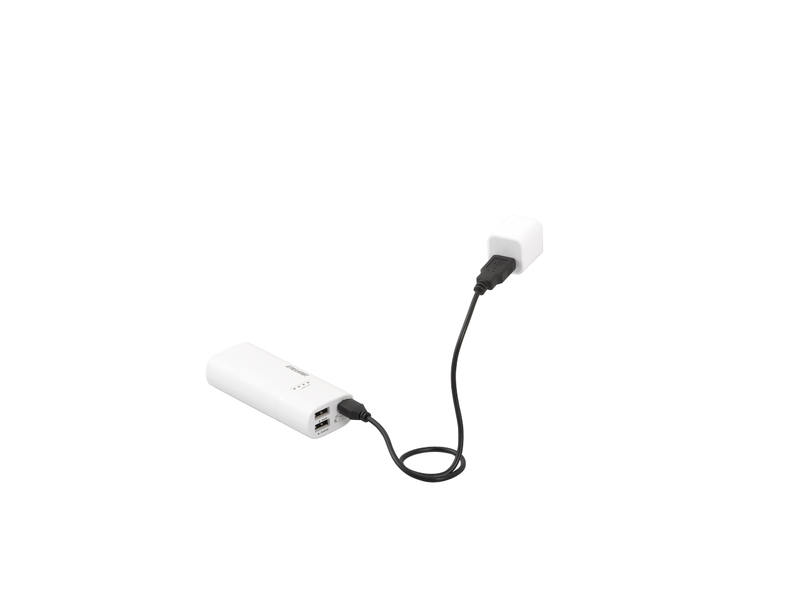 * Charging devices with ports other than microB requires a different cable (sold separately). BSMPB04 features an LED indicator that lets you check the remaining battery power at a glance. 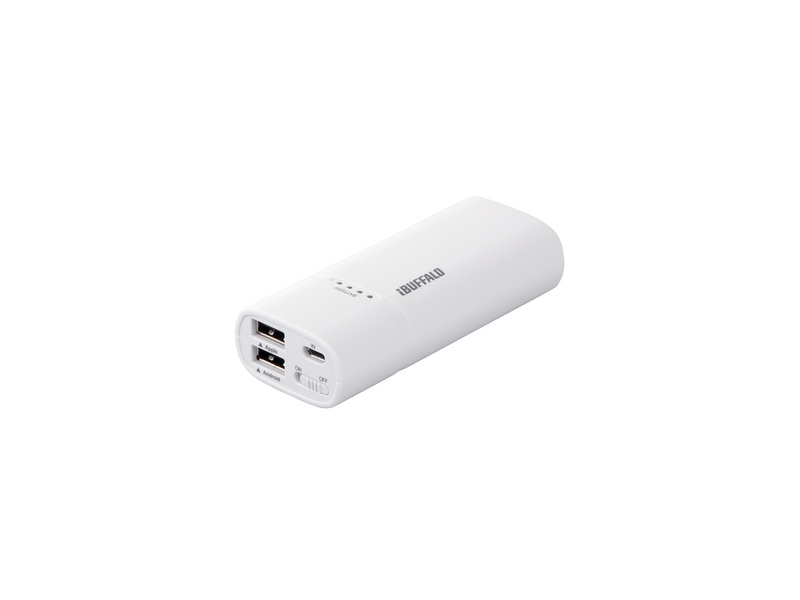 This eliminates worries about the battery power suddenly running out with no warning. Each port has been optimized for fast charging, enabling rapid recharging of both Apple and Android smartphones. BSMPB04 features an ON/OFF switch on the side of the unit. Switching the unit on only when charging is needed means no waste of battery power. BSMPB04 comes with a USB microB cable, so you can use it immediately after purchase. * Charging iPhones requires a Dock cable (sold separately). 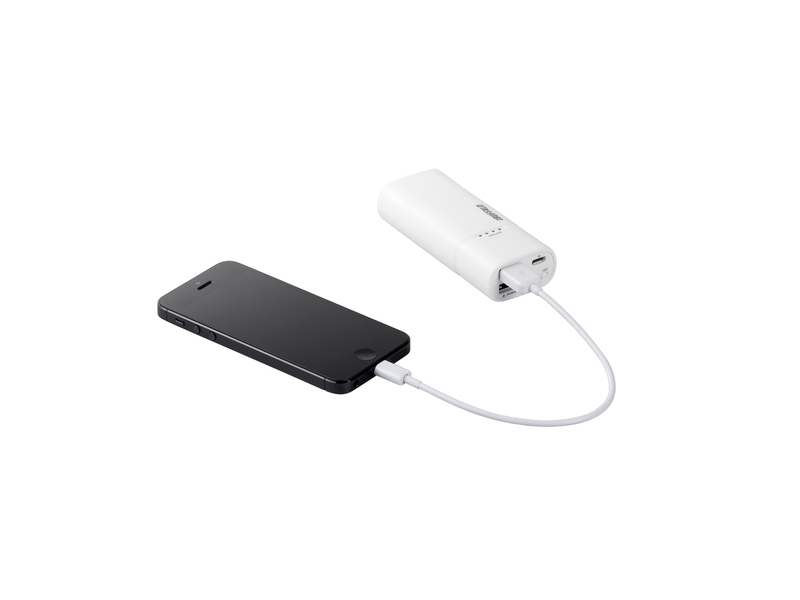 * Although the BSMPB04 can be used immediately, it will not provide a full charge. * Rechargeable lithium ion batteries become discharged over time; charging before use is recommended. The unit features two USB ports, allowing you to charge two devices, such as a smartphone and an iPod, at the same time. 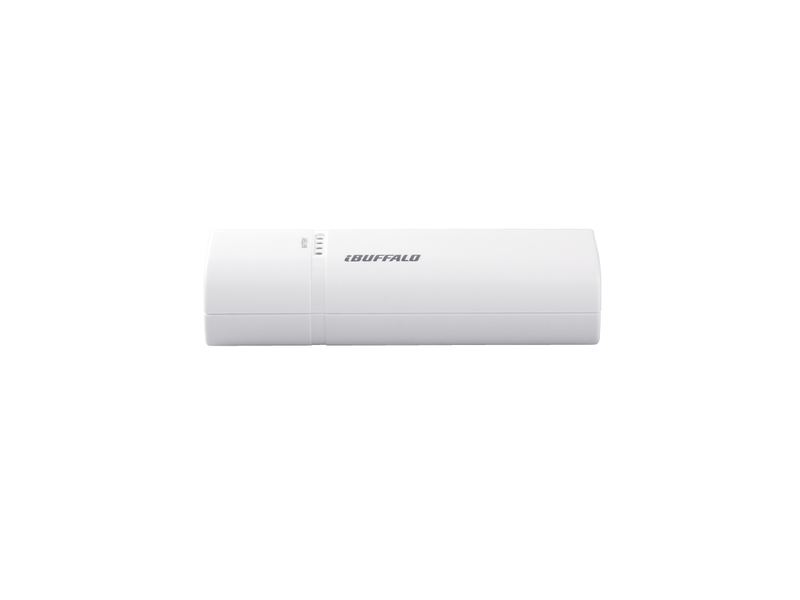 BSMPB04 uses a rechargeable lithium ion battery that lasts 500 times for charging. 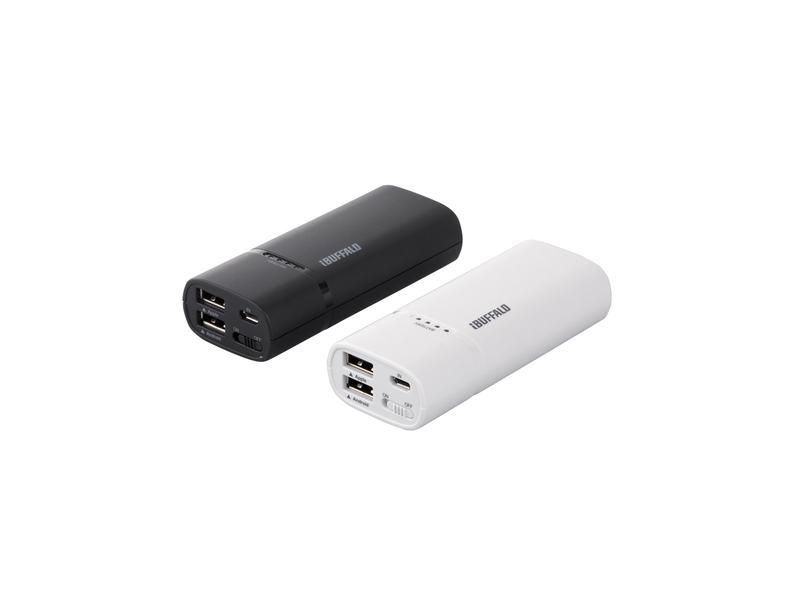 You can repeatedly charge the battery pack from electrical outlets and computers. *Base on Japanese Industrial Standards C 8711.